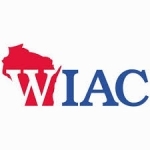 UW-Whitewater finished second at the WIAC Wrestling Championship. The Warhawk’s Nate Mlodzik was selected the John Peterson Wrestler of the Meet. UW-La Crosse secured its third consecutive first-place finish. Whitewater’s Mike Tortorice was named to the All Sportsmanship Team.